Doral Fused Materials (DFM), originally known as AFM, was established in October 1990 as a joint venture between Japan Abrasive Company (JACO), and Doral Mineral Industries Limited (DMIL). After some changes in share ownership and Iwatani purchasing Doral in 1997, in 2005 Doral eventually became the full owner of DFM after buying out the existing other shareholders (Alcoa and Saint Gobain). 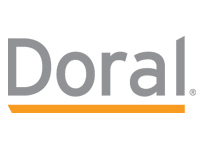 Doral Mineral Industries Limited changed its name to Doral Pty Ltd in October 2010. DFM’s first product was a high purity, white fused alumina raw material used for steel making refractories for the Australian and Japanese markets. The initial alumina furnace was commissioned in September 1991 while a second alumina furnace was built and commissioned in January 1995. During this period DFM sourced Japanese technology to build a fused zirconia facility which was commissioned in November 1994. This plant was designed to initially produce high quality, fused zirconia for steel and glass making refractories but later developed products for use in ceramic colours applications. Separately, Doral Mineral Sands Pty Ltd was established in 2001 to mine and process heavy mineral sands near Dardanup and Bunbury in the southwest of Western Australia. In June 2001, Doral committed over $A30 million to the Dardanup Mineral Sands Project. This involved the acquisition of the mineral rights; mine site; exploration and mining land; refurbishment of the Picton dry processing plant; construction of the mine site wet plant as well as support and administration facilities. In mid 2004, Doral purchased the assets of Millennium Specialty Chemicals, Rockingham operations, which are located close to DFM. Doral Specialty Chemicals (DSC) produced a range of ultra high purity zirconium powders and chemicals, as well as provide toll milling capacity to support DMS and DFM. The zirconium powders component of the operation ceased in mid 2008 with the business eventually being sold to Mintech Pty Ltd in February 2009.